Are you an experienced and qualified LGV-PCV driver wishing to work in haulage or passenger markets? If you are, and you’re looking for the best driver CPC training Devon offers, look no further than Wayside Transport. Whether you are completing this training or keeping up to date, we can help you with your training. For further information, or to book, please call us today on 01202 873911. At Wayside Transport, we provide periodic driver CPC training Devon drivers can partake in. whether you are keeping up-to-date on your training or completing it for the first time, we can help. 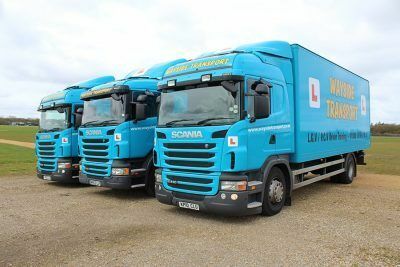 If you are an experienced and qualified LGV-PCV driver and wish to work in haulage or passenger markets, you will need to complete this training. For drivers in Devon, driver CPC training will be hosted at our purpose built facility in Ferndown, Dorset. We can assist you with your training with an understanding approach and trainers focused on your needs and requirements. Training with us covers a range of areas including drivers’ hours, emergency first aid, drive safe-stay legal, vulnerable road users, and more. When it comes to our driver CPC training Devon, it is available for both individuals and for drivers working as part of organisations. Whether you are undergoing the training for yourself or the company you work for, we deliver outstanding training that covers all the necessary requirements. Caravan and Towing Assistance, and More! If you would like to drive Large Goods Vehicles (HGVs) over 3500kg then you need to take this LGV training course. We are specialists in this training and your instructor will be fully NRI accredited and hold a current DBA/CRB certificate. With a first-time pass rate that is 25% above the national average, you will increase your chances of passing first time with us. Our courses are designed to train you to the highest standards in the most time efficient way possible. If you passed your test after January 1st 1997, you will need to take another test to be able to pull a trailer with a gross weight over 750kg legally. This includes most double horse trailers and caravans. As well as Devon driver CPC training, we have been providing full and minibus training for over 20 years. If you want to drive either of these vehicles or need to remove a 101 restriction from your current licence, our team can help. Why Choose Us for Driver CPC Training Devon? When you are looking for quality driver CPC training in Devon, either for yourself or for your staff, you want to use a reputable and reliable company. At Wayside Transport, that is exactly what you will be receiving with our training. We provide a friendly, down to earth approach, coupled with proven training methods and expert advice on current regulations. You can count on us to deliver essential know-how and practical experience. When it comes to driver CPC training, Devon drivers can attend these training sessions at our Ferndown facility. We cover the South and South-West, with clients coming to us from Hampshire, Devon, and Wiltshire. With our Devon driver CPC training, we aim to equip you with all the skills you will need to become a highly skilled, well prepared, and responsible driver. Our approach to your training allows us to develop drivers to be safe and legal, covering all the necessary requirements. We are specialists in all driver training, including driver CPC training Devon. All of our instructors are fully qualified with all the relevant certificates to ensure you receive the highest quality training available. For further information on our driver CPC training Devon, please contact us at Wayside Transport on 01202 873911. One of our team will be happy to help you with your needs. Alternatively, you can fill in the form on our website and we will get back to you as soon as possible.